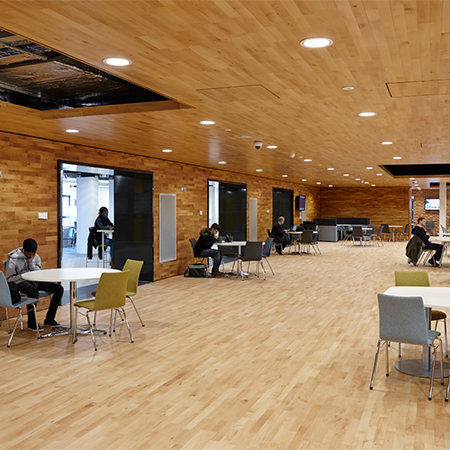 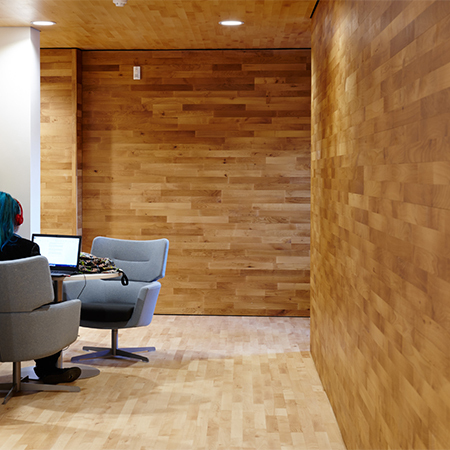 Over 1100m² of Junckers timber has been fitted at the University of Hertfordshire’s Prince Edward Hall, not just on the floors but on walls and ceiling as well, in a newly built campus reception, learning zone and café area. 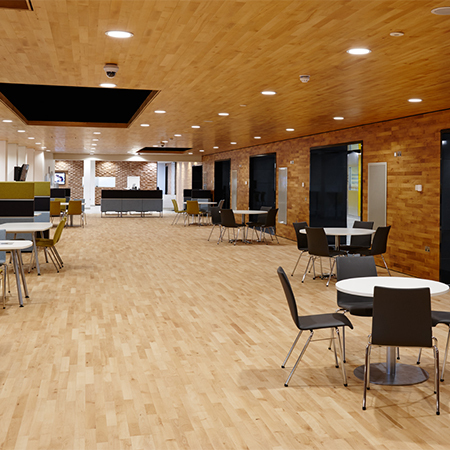 The extended and re-modelled scheme takes the form of a ‘granite box’ which appears to be inserted into the existing building structure on a juxtaposing plane. 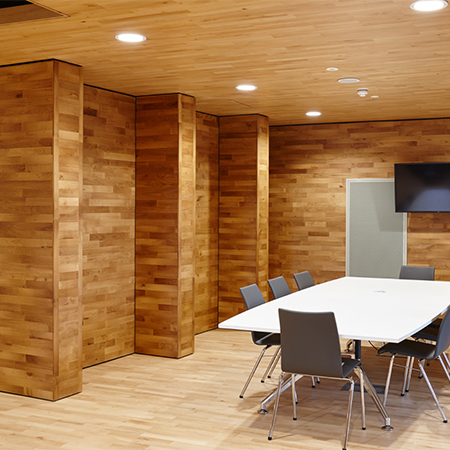 The interior is lined with Junckers solid Beech on floor, walls and ceiling to stunning effect, a testament to how contemporary wood panelling is gaining momentum in the design industry. 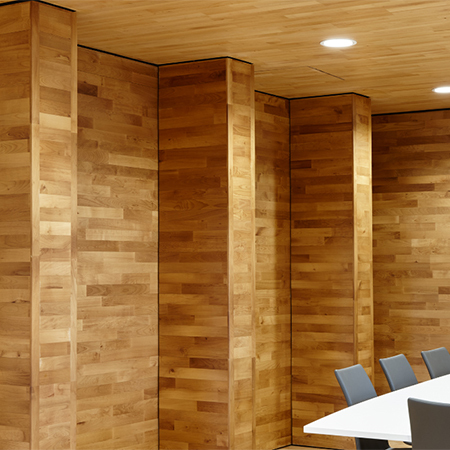 As a natural, living material, solid wood creates an ideal indoor climate, naturally retaining heat, maintaining an even temperature and balanced humidity levels. 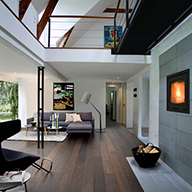 The Flooring contractors were Junckers’ Approved Contractor PICA Floorings.